Prince Rupert, February 1958. 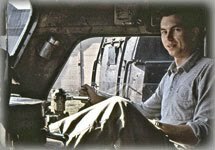 As brief reminder in case you have just joined the blog, as a young man living in Prince Rupert (1957-1959) I had written a number of letters to the various locomotive manufacturers, requesting information and photographs of their products. 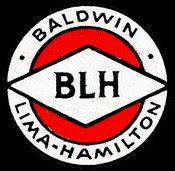 The Baldwin -Lima - Hamilton chapter in locomotive development is interesting in that individually, Baldwin, Lima, and General Machinery, each had highly successful businesses, with long track records. Despite this fact, even when they combined resources and talents, they just could not overcome the wave of success enjoyed by General Motors in the diesel-electric locomotive market. ● Niles Manufacturing moved to Hamilton Ohio in 1871. They had built some 6-foot gage locomotives, and a monitor, which was outfitted too late to join the Civil War. And following other merger activities became General Machinery of Hamilton Ohio in 1928, manufacturing, among other things, diesel engines. ● Lima Locomotive Works of Lima, Ohio, who had turned out their first Shay in 1878, was feeling the diesel electrics breathing down their neck. General Machinery Corporation of Hamilton Ohio joined forces with Lima Locomotive works in 1945, becoming Lima-Hamilton, interestingly taking the name of the city, rather than its corporate name into the marriage. General Machinery had to scramble to get their prime mover to work properly in the rail venue, and eventually about 174 locomotives were built with the Lima-Hamilton builders plate. 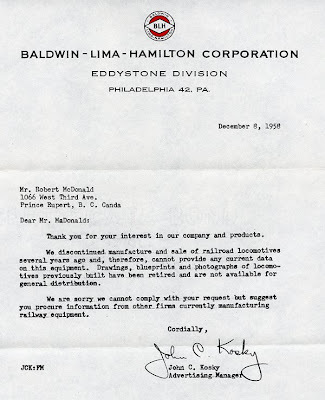 ● Baldwin Locomotive Works feeling the GM pinch and after struggling to gain a foothold in the diesel-electric market, in 1950, joined up with Lima-Hamilton, thus creating Baldwin-Lima-Hamilton. This has been a fun thread to follow. I cannot imagine the pleasure you had opening the mailbox to find an envelope from one of the builders you requested info from. I wished I had done that!